Most of us know pre-made smoothies can be loaded with sugar. What you might not know is that even your homemade ones can contain as much sugar as two cans of Coke. Yikes! One argument you might hear is that it is natural sugar. 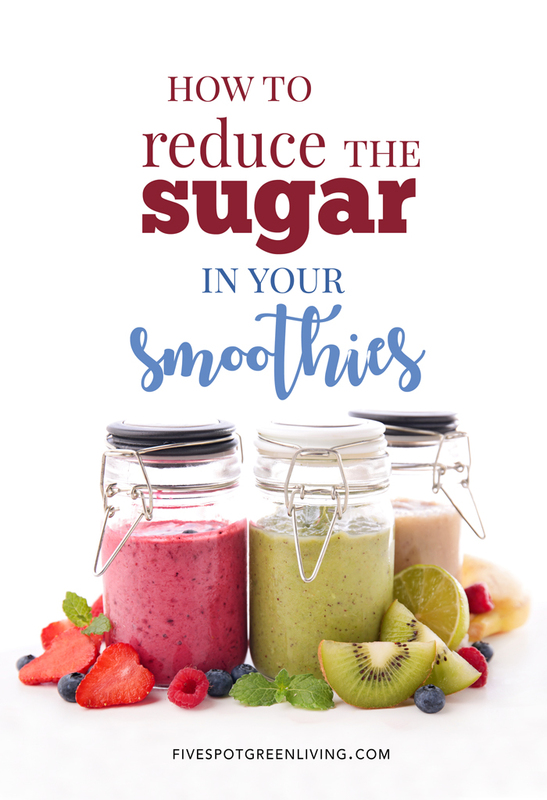 And it is true, fresh fruit has the natural sugar fructose, but in the end, it is still a type of sugar and will boost the sugar content in your smoothies! So here’s now to make low sugar smoothies. Two cans of coke?! That’s just crazy. Why are we even drinking a smoothie to consume that much sugar? 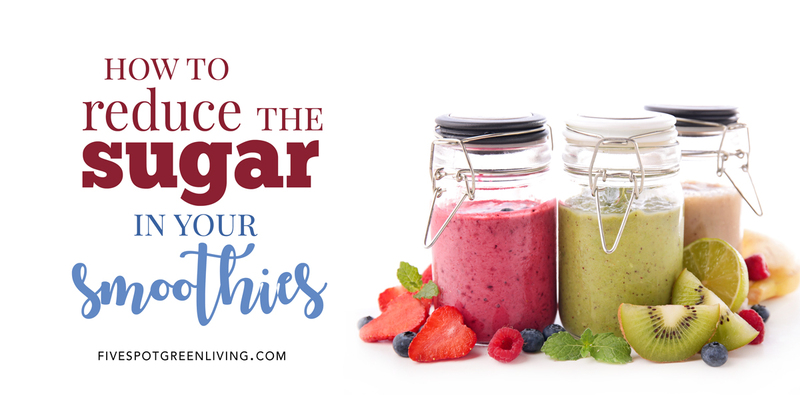 Here are some tips on how to reduce the sugar content, thus making your smoothies healthier. First, you may want to use a base with a lower sugar content. If you are currently using bananas, try switching to using an avocado instead. Instead of adding in 9 grams of sugar, you’ll be adding in only one. Besides, the healthy fat in avocados is more satisfying and will help keep you fuller longer. If you need more sweetness, add in no more than half a banana. Next, add in more fresh vegetables. By adding in green vegetables like kale, spinach or collard greens, not only do you significantly cut down on the sugar content, but also add in antioxidants, fiber and a host of good nutrients. I love using the spring mix blend which usually has a little bit of everything. Use less fruit like mangos, bananas and pineapple and instead replace with less-sweet fruit like raspberries. Raspberries are one of the lowest fruits as far as sugar content – 3 grams of sugar per half cup instead of seven in peaches for example. When it comes to adding liquid, use something that is unsweetened. If you don’t like dairy milk, use one of the unsweetened plant-based milks, like almond or coconut milk. Of better yet, use green tea or just plain water as your liquid and cut out more sugar yet. Try to stay away from yogurt or honey and instead use non-sweetened protein, carob or maca powder, along with either nuts or seeds. If you use one of the nut butters, choose cashew over peanut and save two grams of sugar. Many people use a smoothie as a pre- or post-workout snack, but smoothies can also serve as a meal replacement. If your smoothies are nutritionally balanced, by having a good mix of carbs, fat and protein, then you don’t need to eat a meal also. By using fruit and vegetables, plant-based milk, nuts, avocado and an unsweetened protein powder in your smoothies, you are nutritionally getting everything you would get in a meal, but with only around half the calories.